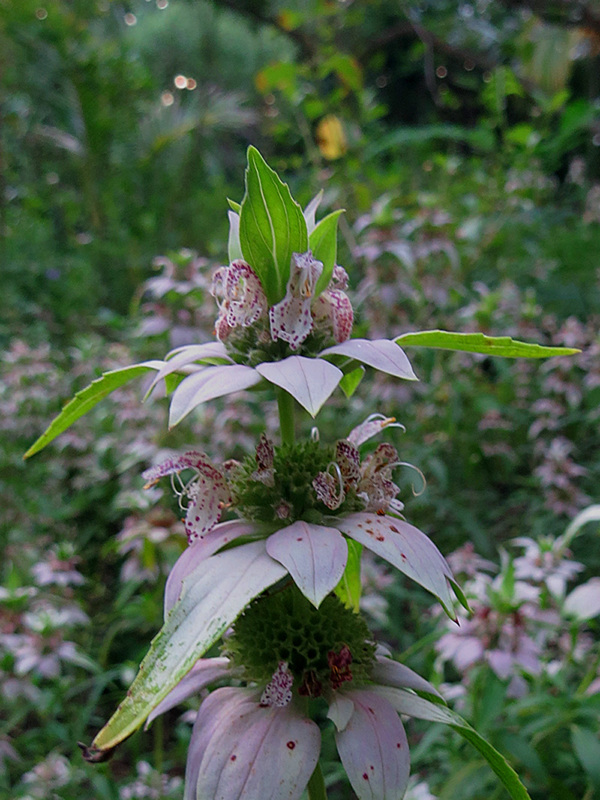 What appear to be petals on this bee balm (Monarda punctuata) are really bracts (modified leaves usually associated with a reproductive structure). 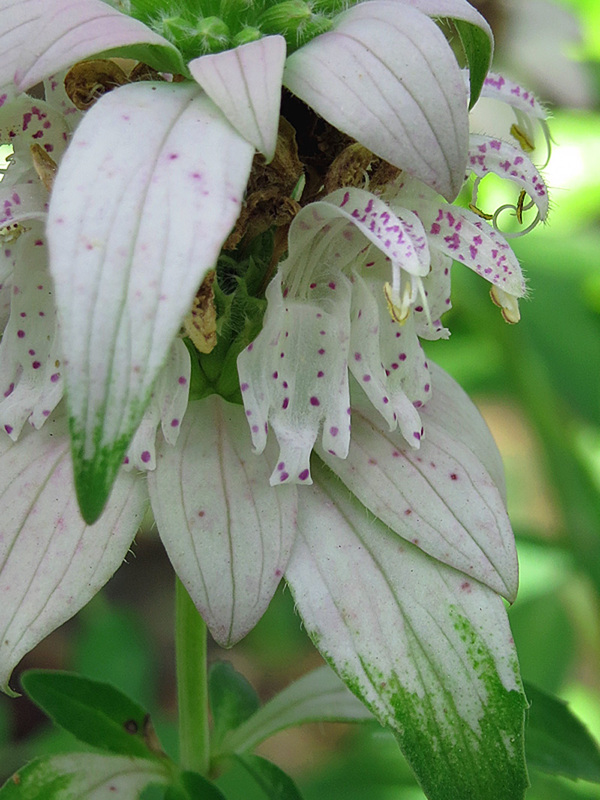 The flowers themselves are white with purple dots, giving rise to common names like spotted bee balm and dotted horsemint. The bracts of the bracts vary from pale lavender to pinkish to purple. Pelican Island Audubon Society Recording Secretary Darlene Halliday (Class of 2003) recently sent a photograph of it, saying “Do you know what this pretty little plant is? It surprised me, in my yard, today!”. Only minutes later she identified it for herself as bee balm. 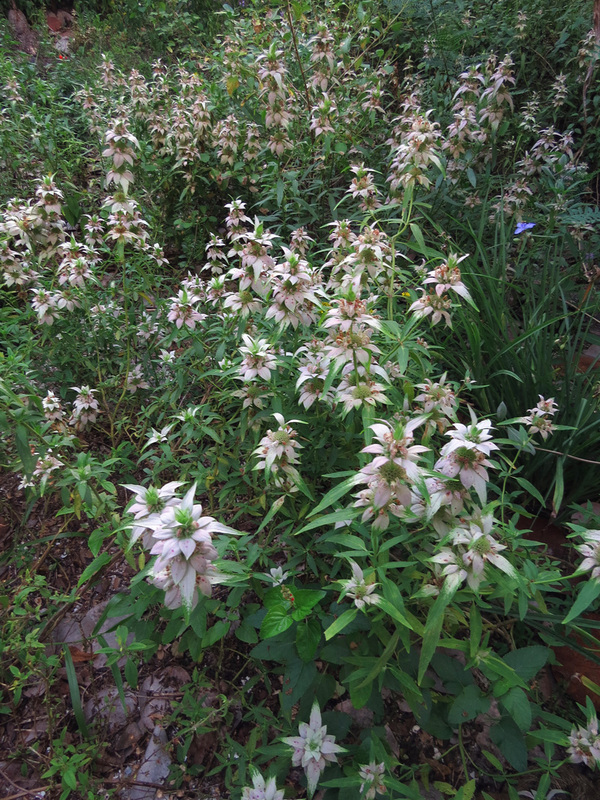 Hopefully, the bee balm planted on the south side of the (Pelican Island) Audubon House, pictured below, will re-seed in the landscape beds. 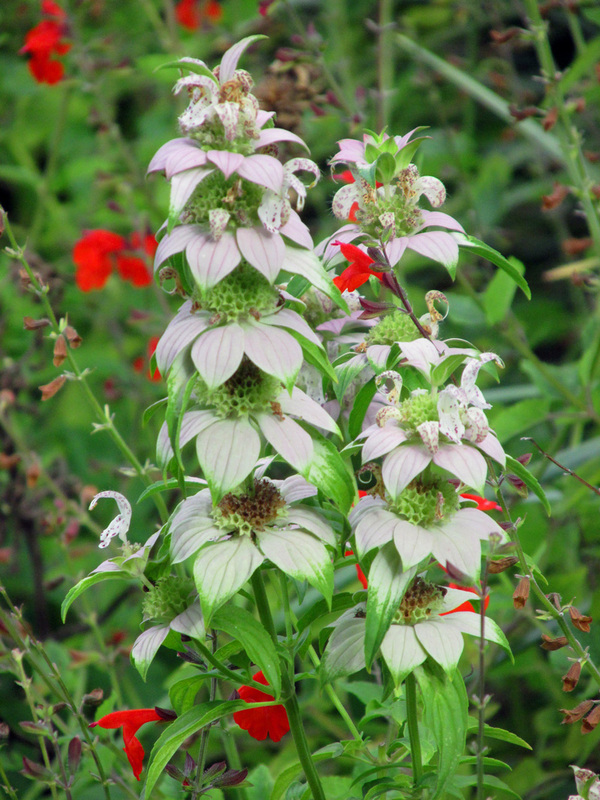 The showy bracts and flowers adorn this aromatic perennial for more than a month in the late summer or early fall. It is at its peak now in our yard. 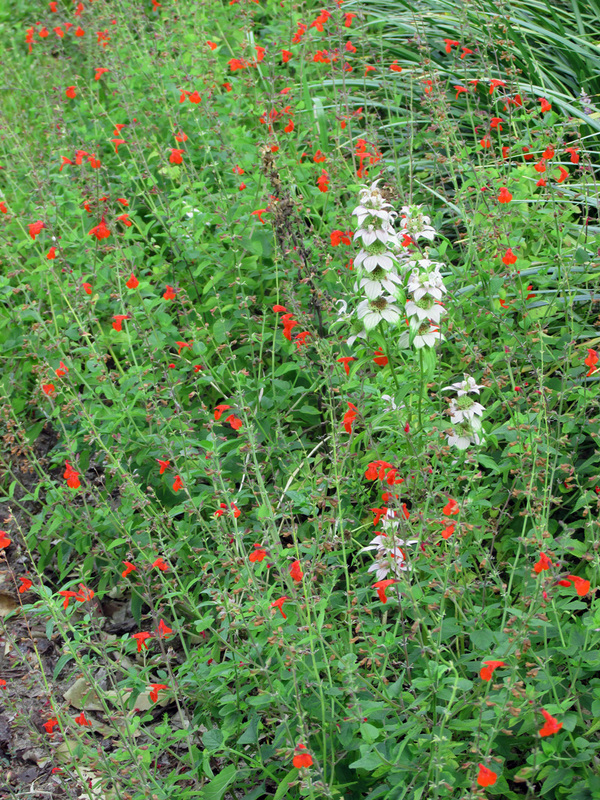 In your landscape you may wish to intermix bee balm with other plants since it deciduous, as Martha Willoughby (Class of 1998) has done with tropical sage (Salvia coccinea) in her yard. 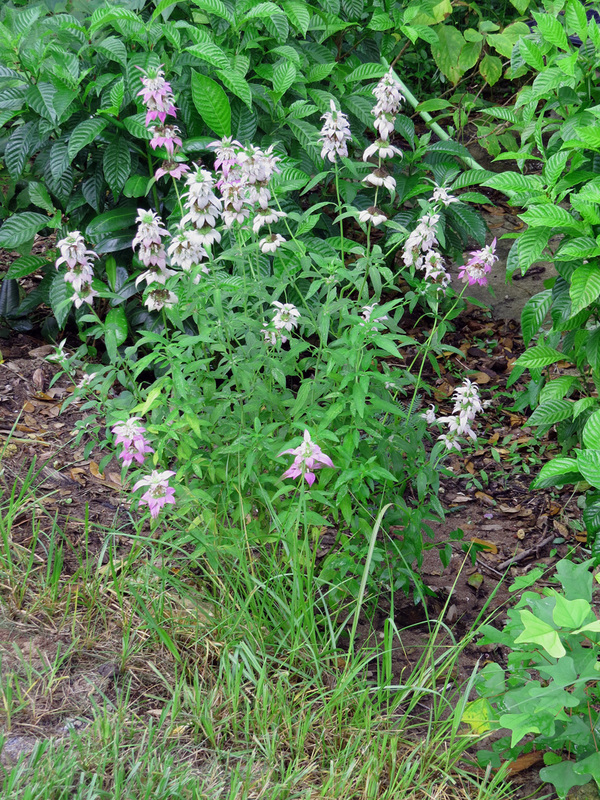 Bee balm produces lots of nectar and pollen for over a month and attracts a bounty of butterflies, bees, and other pollinators.